Laserfiche creates simple and elegant document management solutions that help organizations run smarter. Since 1987, more than 25,000 organizations have used Laserfiche software to help staff find what they need in seconds, collaborate more effectively and complete daily tasks more efficiently. Engineered for rapid deployment, Laserfiche easily integrates with the primary business applications staff use every day. Laserfiche distributes software through a worldwide network of value-added resellers (VARs), who tailor solutions to clients’ individual needs. 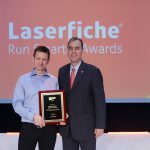 In recognition of the outstanding training and support we provide to our resellers, the Laserfiche VAR program has received the Five-Star Rating from VARBusiness magazine. For more information, please visit www.laserfiche.com. 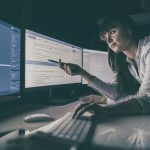 Founded in 2008 with headquarters in Chandler, Arizona, ArcWare Solutions is led by partners and Chandler residents Greg Dutton and Chris Meyer. For more information, please visit www.ArcWareSolutions.com.